At last after all these years of making graffiti i finally have the chance to make a huge mural in my hometown. 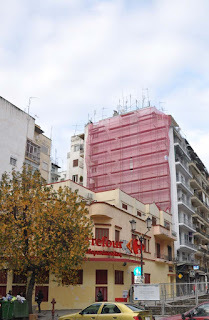 Kert 17 Φεβρουαρίου 2011 - 10:55 π.μ. pote me to kalo 8a exoume tis prwtes eikones? ?